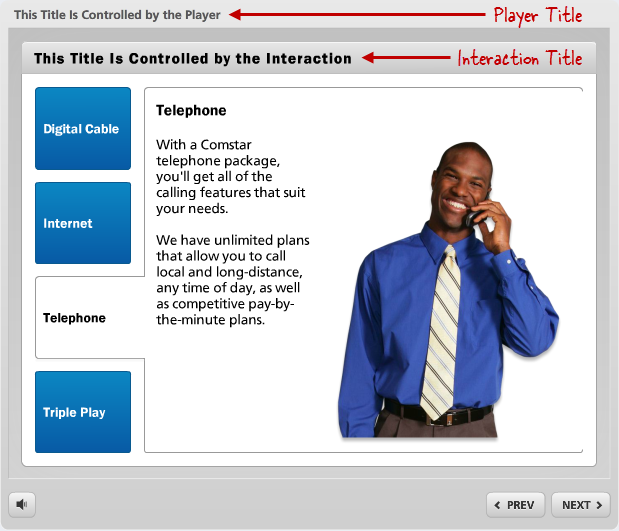 Titles can appear in two places in Articulate Engage content: the interaction and the player. 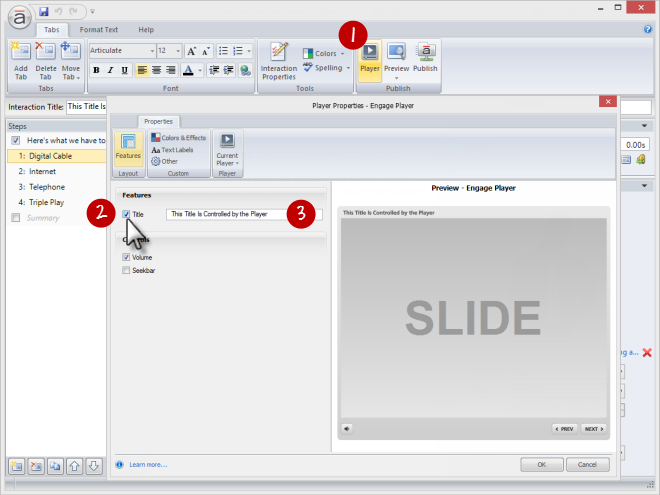 Click the Player button on the ribbon. When the Player Properties window opens, mark the Title box to show the player title. Uncheck it to hide it. The name of your project file. To learn more about working with player features, including the player title, see this tutorial. The interaction title appears in the upper left corner of the header bar (just below the player title). It defaults to the type of interaction you're building, but you can change it. 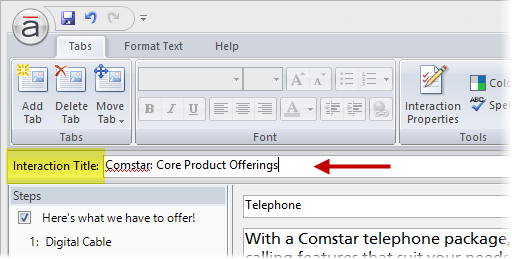 Simply type the name you want in the Interaction Title field just below the Engage ribbon. Go to the first tab on the Engage ribbon (its name corresponds to the type of interaction you're building), and click Interaction Properties. 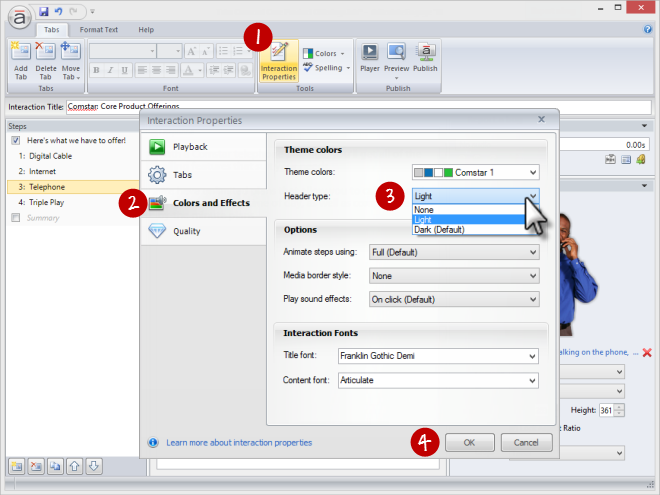 Click the Colors and Effects tab on the left side of the window.